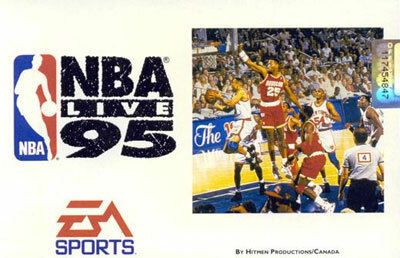 The first of the NBA Live titles on the PC, NBA Live 95 includes all of the basketball players from the '94 - '95 season as well as the All-Star teams from the East and West. Manage over 300 players using the General Manager feature, new in this edition. Statistics for each player and team are saved. View players and teams side-by-side to compare stats and other information. You can trade any player in the league. Multiple in-game settings let you choose the mode of play, the style, and even the length of a quarter or session. Full motion videos bring your plays to life onscreen. Listen to the crowd roar, the noises of the court and hoop, and voices of the players. There is also a soundtrack of modern music.